Team Bermuda: Take a stand in Pyeongchang 2018 against the dog and cat meat trade! Home / Blog / Team Bermuda: Take a stand in Pyeongchang 2018 against the dog and cat meat trade! Let's ask Team Bermuda to take a stand and speak out against this shameful trade. You can help by signing and sharing our petition, sending out letters and emails, and raising awareness of this brutal and barbaric practice and calling for an end to the trade by exposing this issue in social media. 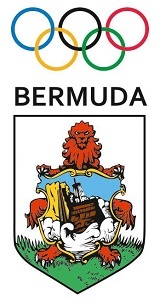 Click HERE for the Team Bermuda Homepage. Please sign petition, call, write and email the Bermuda Olympic Committee TODAY! Bermuda Olympic Association: Take a stand in PyeongChang 2018 against the dog and cat meat trade! To barbarzyństwo i straszne okrucieństwo wobec bezbronnych, niewinnych zwierząt. Są skazane na długą śmierć w cierpieniach, bólu, strachu! Helft den besten Freunden auf Erden,stoppt Folter.Helft. Helft den besten Freunden auf Erden, stoppt die Folter. Helft den besten Freunden auf Erden, stoppt Folter.Helft. WHEN OUR PLANET DEVOURS OVER SEVENTY BILLION(seven hundred thousand million) ANIMALS/MAMMALS ANNUALLY FOR CONSUMPTION THERE IS SOMETHING VERY DELUSIONAL & DISTURBING THAT HUMANS ARE DOING, PARADOX. YET WHEN HUMANS ARE DOWN & OUT OUR BEST WILL SURFACE, IT IS VERY CONCERNING TO ME THAT OUR SPICES HAS TO BE PRODDED TO ACT FAVORABLY. THIS GREAT PLANET THAT HAS GIVEN SO MUCH, WILL EVENTUALLY DIE BECAUSE OF HUMAN”INHERENT” GREED(seven deadly sins). THE SINGLE BEST ACTION HUMANS CAN DO FOR ALL ANIMALS/MAMMALS, FAMILY & FRIENDS ON THIS GREAT PLANET WE CALL EARTH IS A THE SIMPLE MOVEMENT BECOMING VEGAN/VEGETARIAN! Sooo ALL HUMANS ON THIS GREAT PLANET DONT BE LAZY WITH THE TASK AT HAND. i thank you. THERE IS NO OTHER ALTERNATIVE. THE EARTH & ALL ITS ALLIES THANK YOU………….. These people are sick and twisted! Stop the madness!